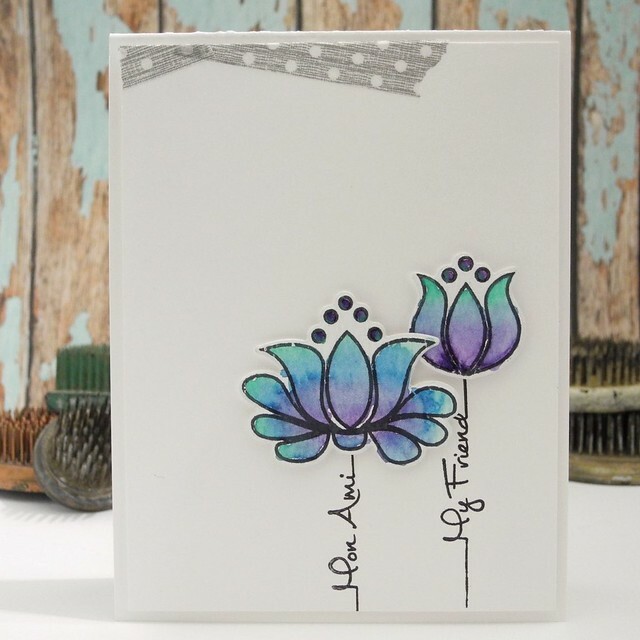 It's another AWESOME day of CAS-ual Fridays Stamps releases!!! Today's stamps and dies may be my favorite from this release, although, I admit, that is a hard call, given that this entire release is AMAZING! The stamp set is called Mon Ami and the Mon Ami Fluer Fri-dies coordinate with it perfectly! I die cut the flowers from watercolor paper, watercolored them (which I LOVE), and then adhered them with foam tape over the stamped stem sentiments. I kind of love this card, not even gonna lie to you about it. Kind of love it. 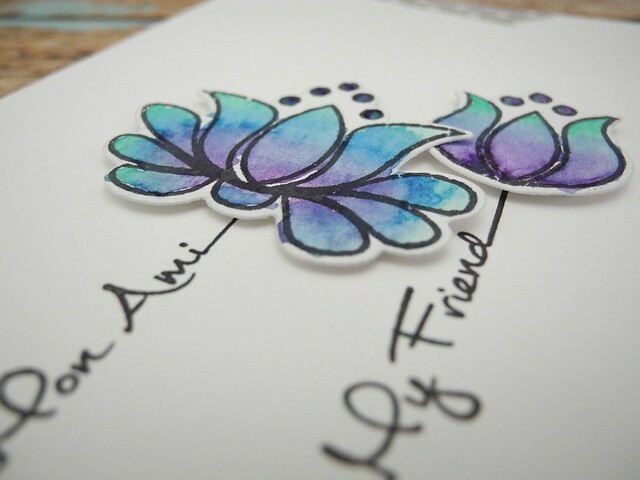 Be sure to check out what the rest of the Ink Squad created with these gorgeous stamps and dies! Seriously... today is not a day you are going to want to miss! Also, leave a comment here, and on the rest of the DT blogs for your chance to win a $25 Gift Certificate to CAS-ual Fridays Stamps! Woot! Woot! Beautiful card! I love the mon ami stems and your pretty flowers. Gorgeous coloring on the flower. Love the sentiment stems. Wonderful! Beautiful colors for the flowers and I love how you used the sentiments! TFS! This might be my fave from this release too. Such a great mix of sentiments AND the fun clean florals. Such a pretty and artistic card! I absolutely love the way you colored the flowers and the stem sentiments are perfect! love these flowers and stems! And that bit of washi at the top is inspired! Love how you used this stamp set! Such pretty colors too! Thanks for the chance! so clean and simple! love it! So pretty! Love the combo of colors on those gorgeous flowers! You really ROCKED this design!!! Wowzers, simple CAS and SCREAMS all at the same time! I love this card and this whole new set! Lovely! Your CAS style is so inspiring! Love your watercolored flowers with the sentiment stems! Oh I'm so loving this release too! Fabulous!